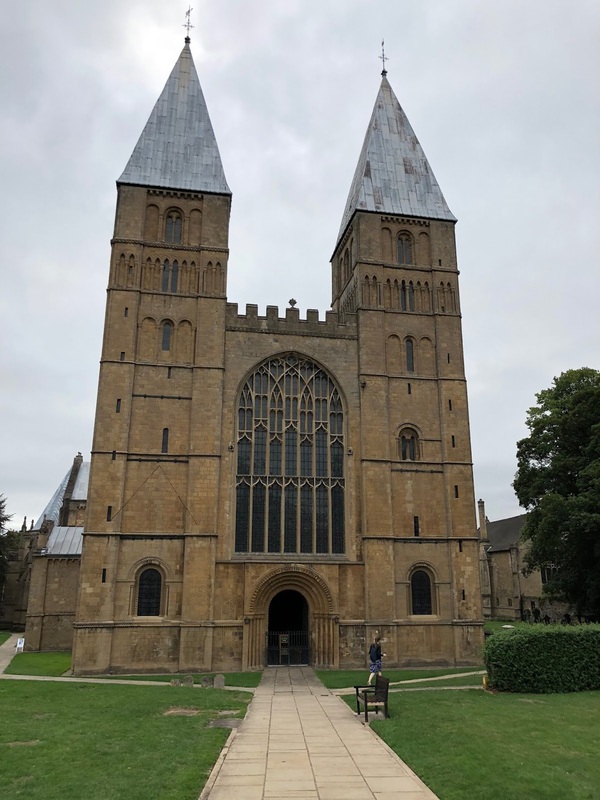 Russell Gilmour (1st trumpet), William Russell (2nd trumpet), Gareth Hoddinott (3rd trumpet) and Keith Price (timpani) performed Bach’s B Minor Mass on Wednesday 22nd August 2018 in Southwell Minster in Nottinghamshire as part of the Southwell Music Festival. The Southwell Festival Baroque Sinfonia was led from the baroque violin by one of the Artistic Directors Jamie Campbell. The other Artistic Director, Marcus Farnsworth, sang bass in the impeccable ten-strong choir. The festival, now in its fifth year, offers a huge variety of performances. There was a great festival atmosphere in Southwell. It was great to bump into old friends and colleagues from around the country and also great to see that many of the local shops had decorated their windows with sheet music and instruments for the duration of the festival. The B Minor Mass was performed as an evening concert on the first day of the festival. It was very well attended and the enthusiastic audience gave a standing ovation at the end. The performance was remarkable overall, but there were a few specific highlights including a beautiful Benedictus - sung by Tom Herford with the extraordinary flute obbligato by Eva Caballero, who played so beautifully rhetorically. The horn (Ursula Paludan Monberg) and bassoon section (Inga Maria Klaucke and Joe Qiu) were also excellent in the Quoniam. There is a great review of the performance, available here. In the days before the festival launch I was asked to complete a Performer Profile answering questions about what I would be doing in the Southwell Festival. Who are you, where are you based, and what work do you do? My name is Russell Gilmour. I’m originally from the Isle of Man and I’m now based in the UK but tend to travel a lot for the work I do. I specialise in playing early brass instruments - specifically the natural trumpet (otherwise known as the baroque trumpet) and I also play the Renaissance Cornetto. What music are you most looking forward to performing in Southwell this year? 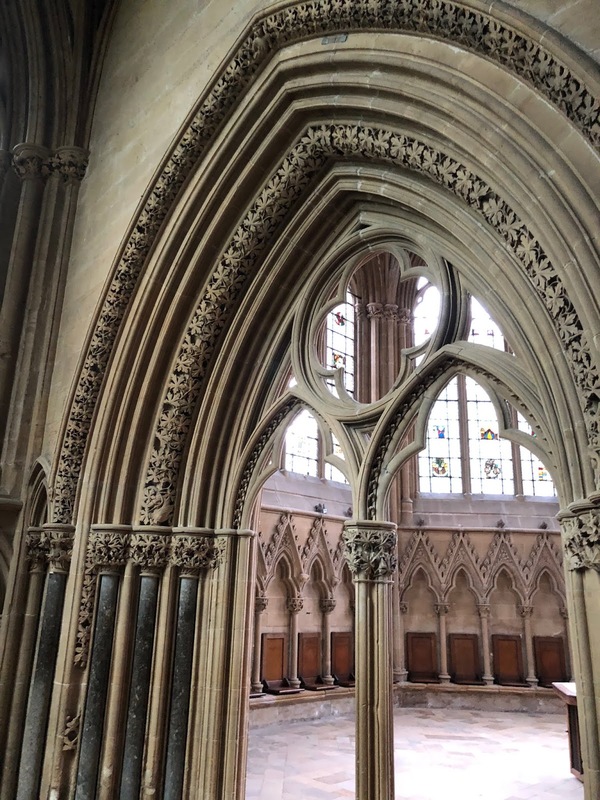 I will be playing first trumpet in Bach’s B Minor Mass on Wednesday 22nd August 2018 in Southwell. I’m particularly looking forward to the performance because we are using a small (but perfectly formed) orchestra and choir. I can imagine the musicians of Bach’s era huddling around a few music stands in the small gallery at the back of Bach’s church and I think this scale of performance will be in keeping. I think this will make for an intimate performance at Southwell and it will sound great in the acoustic. From the natural trumpet section’s point of view we will be playing as considerately as possible to compliment the small orchestra, and the trumpets will be playing in the ‘clarino’ (high) register which will (we hope) demonstrate our most refined delicacy! Bach’s trumpet parts are famous for being challenging, ingenious and rewarding (and at times mystifying), and I simply love playing them and learning more about them. What other things have you got coming up that are interesting in the next few months? We stayed with wonderful hosts in their remarkable home in the nearby village of Kirklington. Many thanks to them and to the Southwell Festival team for their hospitality and organisation and congratulations to all on a great performance.